Fabien Fieschi (center) celebrates with Women’s Lunch Place guests Sharon Howell (left) and Sandra Horne on Tuesday. Fabien Fieschi, the French Consul General of Boston, celebrated the Epiphany on Tuesday by bringing traditional king cakes to the Women’s Lunch Place on Newbury Street. The treats were prepared by Cafe Madeleine and PAUL Bakery. 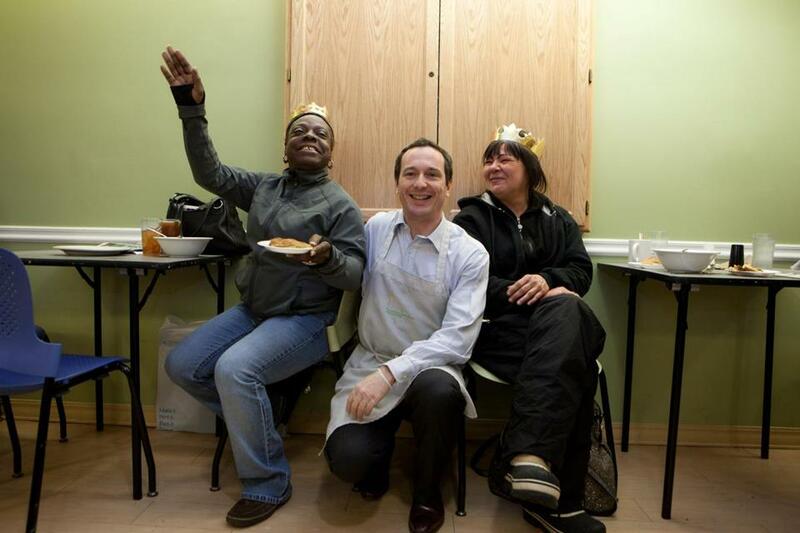 The Women’s Lunch Place provides meals and support to women experiencing homelessness or poverty.